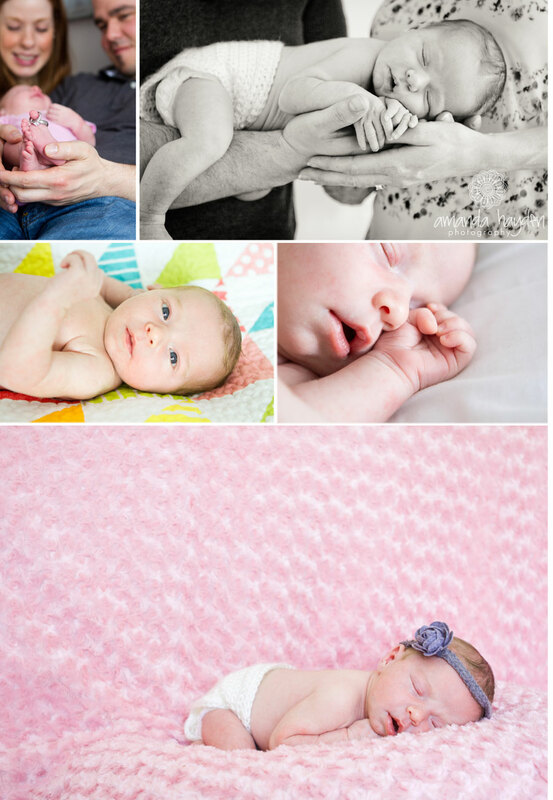 I am absolutely falling in LOVE with newborn photography! Maybe it’s baby fever, maybe it’s because they don’t yell “no more pictures” when I point my camera in their direction (ahem, Lyric!)! There is just something so amazing in new life. Have you ever stared at your messy house and just thought how nice it would be if it were all clean and empty, almost like a clean slate? Well, that’s a newborn. It’s a brand new life just waiting to learn and see all that life has to offer. There are so many firsts, that as a new parent will become firsts for you as well. The first time they see rain, or snow, the first time they go down a slide, or sit in a swing. Their first laugh and their first tooth. Getting the opportunity to see the world through brand new eyes is something that should never be taken for granted. I was blessed with the opportunity to photograph a beautiful 8 day old baby girl! Even though she may have taken a little while to settle into that perfect sleep, she was still an absolute angel! You could just feel the love Mom and Dad had for their first born! Being able to capture all those tiny things that make a newborn exactly that is such a great feeling. They change and grow so quickly that sometimes as parents we forget how small they once were. Mom and Dad, thank you for allowing me into your home to photograph your brand new family. Enjoy your little piece of time frozen forever! If you’re interested in booking a newborn session, please use the contact form at the top of the page! I’d love to hear from you! You can also find me on Facebook! Awe she is beautiful!!! My two faves are the one with the antique scale and trunk and the one with daddy’s hand… It’s amazing to see how tiny she really is! !